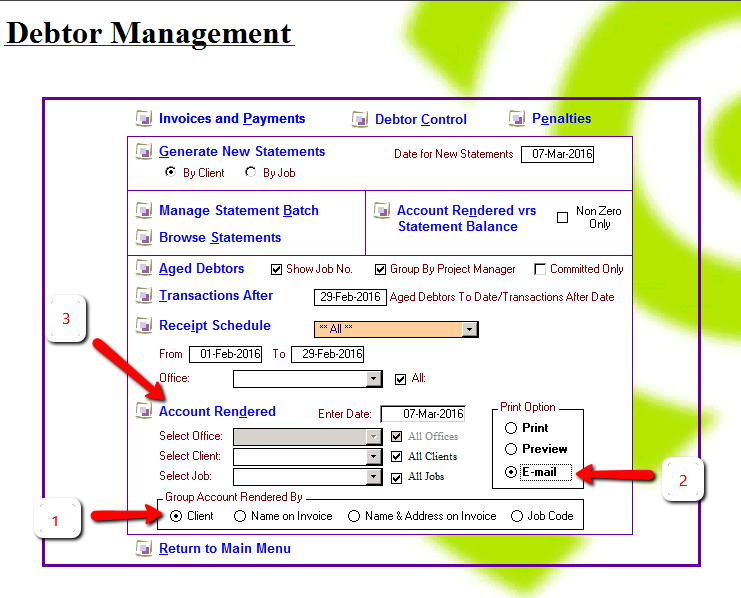 In AbtracOnLine you can create invoices automatically from your project task and timesheet data. The Auto Generate by Fee total with narration option creates an invoice with a pre-filled narration paragraph and then inserts the total time fee onto a single line. You can choose to itemise disbursements, or exclude them from the automatically generated invoice. Invoice by Fee total with narration invoices look like the examples below. The invoices that are sent to your clients directly from AbtracOnLine can all be styled to suit your corporate image. A customised invoice layout design will include your company logo and styling on any invoice sent via email or printed from AbtracOnLine. If on occasion you still wish to print and post your invoices using pre-printed stationery then you can choose to hide your company logo from your invoice header and footer. In most cases AbtracOnLine is ready to go with Google Chrome and doesn’t require any additional configuration, however on occasion a browser may block AbtracOnLine downloads. If you are having trouble downloading multiple pdfs from AbtracOnLine – such as invoices – you may need to enable abtraconline.com as an exception to your browser security settings. Set the Group Account Rendered to ‘Client’. Set the Print Option to ‘Email’. Click on the Account Rendered link.